What: Online community research and engagement for retail-led regeneration. Result: Retail Revival created a highly visual and transparent survey to capture comments from an online audience to support the business case for future funding. 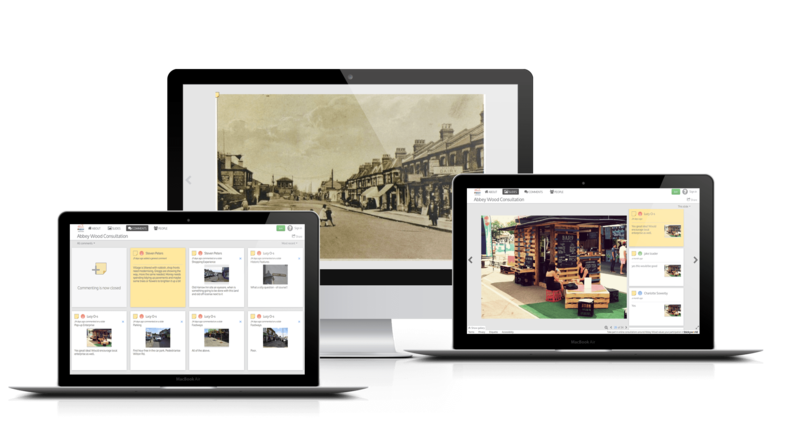 Royal Borough of Greenwich, London Borough of Bexley and consultant researcher Retail Revival selected Stickyworld as their platform of choice to run an online engagement for a research project in Abbey Wood. The aim was to build an evidence base for further investment in local high street traders, helping these businesses compete with larger retailers and meet local expectations and aspirations about service. A Stickyworld portal was set up to support online contributions and used in conjunction with face to face consultations at a market stall. Retail Revival need to produce the evidence for further funding across a range of retail and customer experience issues that affected the high street consumer and the retailer alike. The researcher created a simple slideshow with images and open questions, and published on the portal, attracting over 900 comments in just a matter of weeks. They promoted the opportunity to get involved via a local facebook group and used a tablet at the market stall. Participants could respond as public anonymous visitors or register to receive updates and feedback on outcomes. 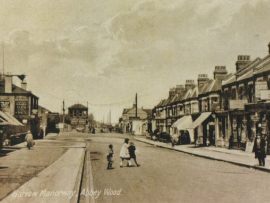 Retail revival was able to simply and quickly set up a Stickyworld portal for Abbey Wood, and present a visual slideshow with survey type questions to attract open responses which all visitors could read.The results contributed to an evidence base which was extracted as a PDF report and CSV datafile for further analysis with with other response channels, and supporting the application for further funding to develop the project further. This is an extremely affordable use of Stickyworld, and no specialist content is needed, just simple local pictures and questions. By creating a simple slideshow and promoting to your target audience you can crowdsource a large range of ideas and opinions to help you evidence the need for further project development. If you work for a developer, local authority or design team and you're looking for better ways to manage your online community consultation, we offer free online demonstrations to help you make a decision. In just 30 minutes we learn about your project requirements, show you some similar examples and can also demonstrate how easy and fast it is to set up a portal for your project. If you like what you see, get in touch.